Based on the blog with more than four million loyal fans, a beautiful, heartfelt, funny, and inspiring collection of photographs and stories capturing the spirit of a city. 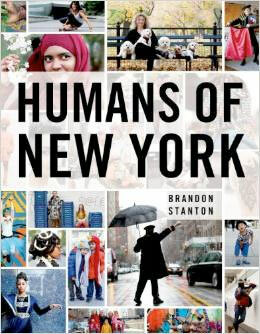 Now an instant #1 New York Times bestseller, Humans of New York began in the summer of 2010, when photographer Brandon Stanton set out to create a photographic census of New York City. Armed with his camera, he began crisscrossing the city, covering thousands of miles on foot, all in an attempt to capture New Yorkers and their stories. The result of these efforts was a vibrant blog he called "Humans of New York," in which his photos were featured alongside quotes and anecdotes. Never in human history has there been an event more horrifying than the Holocaust—the human loss inconceivable, the aftershocks felt for generations. But in the midst of the misery was forged a strength of spirit and humanity that shows in the faces and stories of survivors. 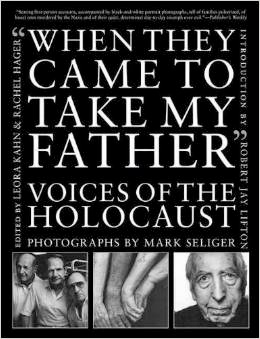 Captured here with clarity and truth are fifty images of survival, portraits of the men and women who actually lived through the brutality. The tales of survival vary: the misery of day-to-day existence in the camps; the luxury and guilt of passing as a non-Jew; the ever-mounting dread of having a hiding place raided by the SS; the chaos of families fleeing, broken and scattered. Punctuating the narratives throughout the book are impassioned essays by Abe Foxman, Yaffa Eliach, Anne Roiphe, Rabbi Arthur Hertzberg, Eva Fogelman, and others. 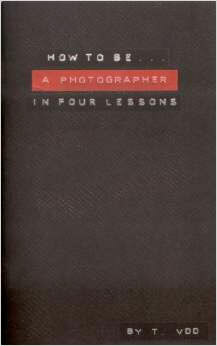 An introduction by National Book Award–winner Robert Jay Lifton opens the text. Taken together, this powerful collection of words and images forms a moving testimony to human dignity and a record of history that must never be forgotten.